"Here’s the thing, the original Catman had a long history and most of it was as a cheap Batman knockoff who never accomplished anything. That made him a bit of a lovable loser, and I enjoyed that tremendously. And we get a reveal about one of the new characters which, I think, makes them unique in the big two comic universe's. 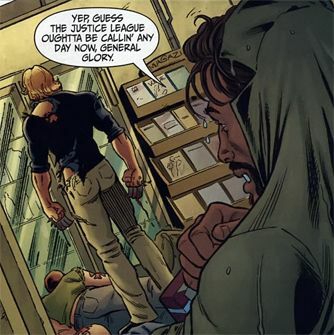 When Deadshot and Catman go shopping, it's best not to insult them with your amateurism at being a baddie. Yesterday was the Los Angeles screening of the 6 minute prologue for The Dark Knight Rises for reporters and journalists, and of course, the web monkeys over at Batman-News got a hold of the detailed description of Bane's first appearance. Ok, it's the pink elephant in the room. The book closes out in style. The team that never backs down.... and never wins. Hey So i posted that twitter conversation I had with Gail Simone earlier this morning and thought you guys would like to see it. as usual comments, likes, rebloggs welcomed. 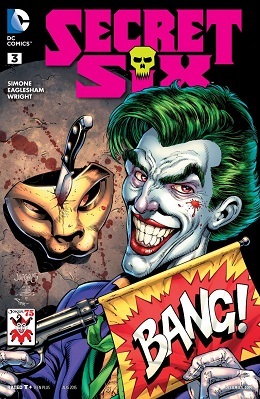 Hey guys, I know that a lot of us are huge fans of Secret Six. How would you like to see it keep going? 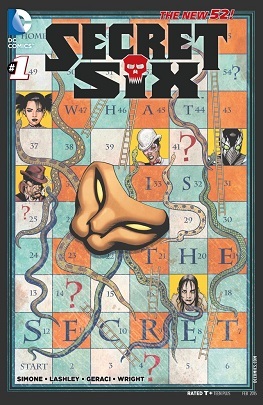 Right now, there's TWO different campaigns in motion to help DC realize that Secret Six is a title worth saving! 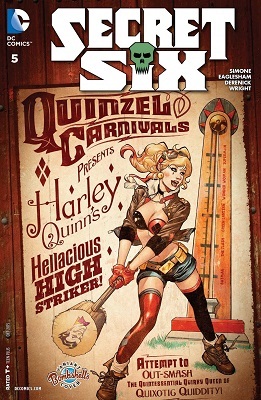 Secret Six is dead, alas. Gail Simone has confirmed it. Hi ho, 2 pages from Secret Six #33 here. You'll recall that when a preview page was posted showing Catman's reunion with his d-bag of a father in Hell, Papa Blake begged Tom to save him from a mysterious "she" who comes to torture him afresh every day. Betting on who the "she" is was pretty evenly split between Mama Blake and the lioness Papa Blake killed. Current Music: Ted Nugent, "Cat Scratch Fever"
Continuing my irregular series showcasing the many costumes worn by Black Alice, seen here, and here, as well as this post by gargoylekitty, which has a couple that I didn't post as I hadn't read the issue, and this one by icon_uk which kicked the whole thing off. So, there you have it...part three of The Many Looks of Black Alice. Random single panels from Secret Six 25, 29, and 30, and Teen Titans 84, 85, and 87. Bane displays his masterful skills with the ladeeeez!